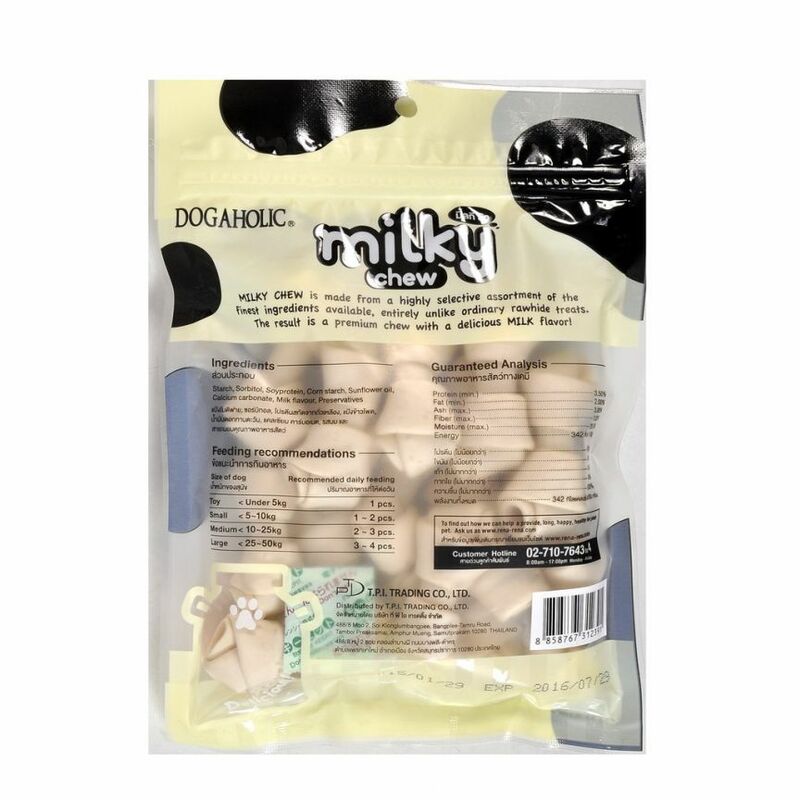 Give your dog the best nutrition with Dogaholic Milky Chews Knotted Bone Dog Treat. 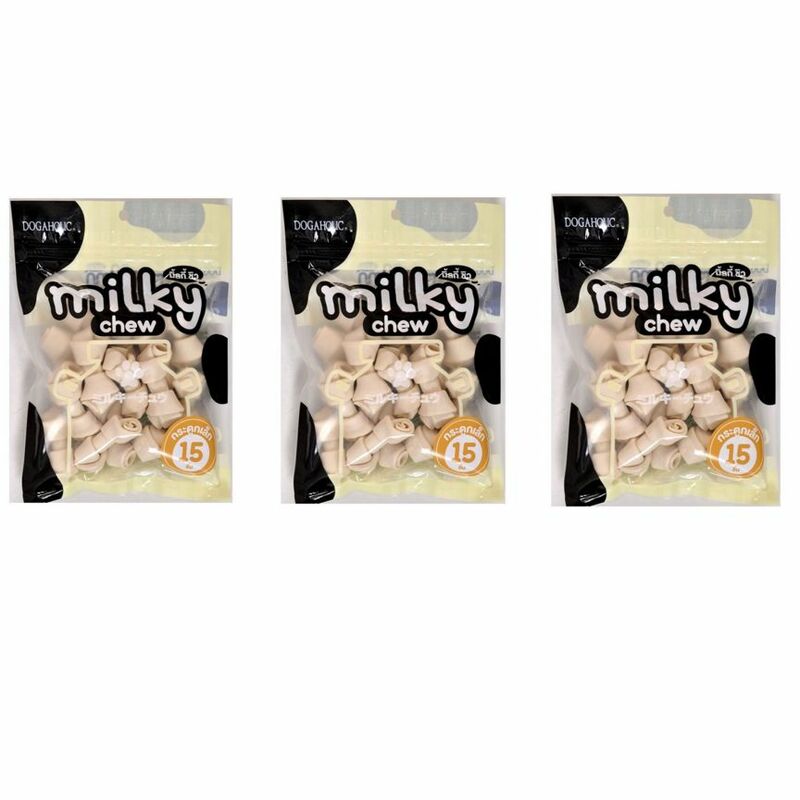 Your dog will fall in love with the taste of the Milky Chews Dog Treat from Dogaholic. The combination of milk and real chicken makes a delicious chew for your pet that you can use for training or general snacking. Each chew stick is in the shape of a bone, adding to the excitement that your dog will experience every time he chews it. Milky Chews is made from a highly selective assortment of the finest ingredients available, entirely unlike ordinary rawhide treats. The result is a premium chew with a delicious milk flavor.